Norman’s Earth Day Celebration is coming up on April 28th from 11-4 at Reaves Park. We will be returning this year to provide chair massage and share our “green spa” vision with the community. Since we began in 2016, sustainability and eco-friendly products and practices have been a priority. Here are a few ways that Drift is committed to protecting Mother Earth. 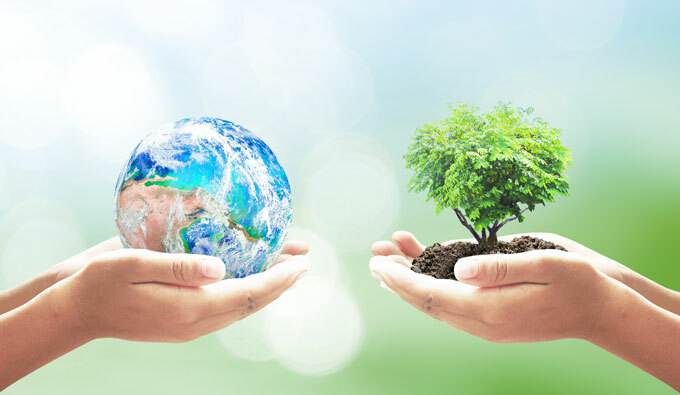 As Earth Day approaches, we are taking a moment to reflect on ways that Drift Therapeutic Spa contributes to a greener Earth and how we can add to those practices to improve. We are saving over 6,000 pieces of paper by using digital intake forms for our approximate 3,000 new clients per year!!! We are also committed to using eco-friendly cleaning products to reduce the contamination of our water, air, and soil. At Drift Therapeutic Spa, we serve our organic herbal teas and infused water in glass drinkware instead of paper, plastic, or styrofoam. According to www.earthday.org, there are approximately 480 billion water bottles and 16 billion disposable coffee cups used each year! That is a staggering number that is growing every day! Although you can’t take your beverage “to-go”, we feel that taking a moment to reflect in our relaxation room while you finish your drink isn’t a bad thing… especially if we are helping to reduce the staggering figures above! Even though Norman doesn’t currently offer curbside recycling services to businesses, we collect all recyclables that come into our spa. Then, our amazing team members volunteer to transport, sort, and recycle the items. Talk about commitment! Being green isn’t always easy, but it is always worth it! How do you help protect our Earth? Do you have ideas that we could implement to improve?